Over the past couple of years we've seen a Kellogg's shop where you pay with a tweet, and a bar where you can extend happy hour by posting an Instagram pic. Now for the first time ever there's a restaurant where you pay with a tagged Instagram picture (but also Facebook and Twitter - you don't need to have Instagram!). Birds Eye are opening this for two hours only on Wednesday 14th May, and you can find out how to get tickets below. You've got two weeks to practice your Instagramming / picture taking! "For the first time, a unique modern concept restaurant will be unveiled, which boasts the only ‘pay-by-picture’ currency system in the world. The Birds Eye Inspirations Picture House will open its doors on Wednesday 14th May at IceTank in London to mark the launch of Inspirations – the food brand’s premium range. The Picture House will be popping up in London for a limited time before heading north and offers a modern and innovative dining experience for food lovers and social media enthusiasts alike. 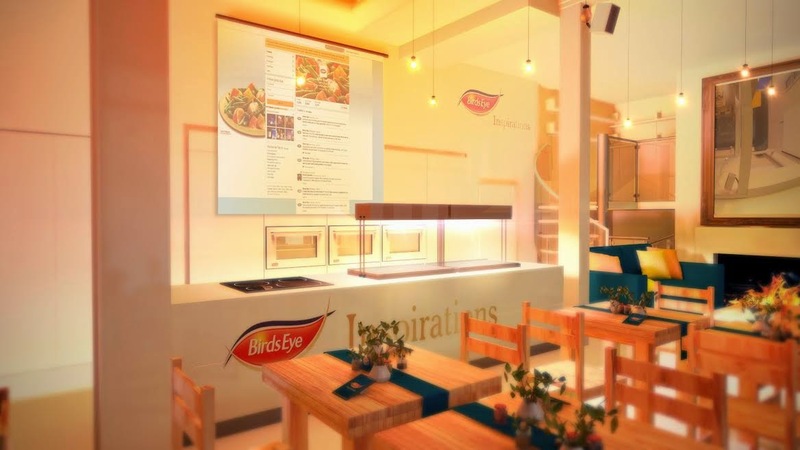 Following a two-course meal, courtesy of Birds Eye, diners can settle the bill simply by taking a picture of their dinner, uploading it to social media platform Instagram (or other channels) and captioning the food photo with the hashtag #BirdsEyeInspirations. On the night, guests can select meals from the Birds Eye Inspirations menu including Fish Chargrills and Chicken Inspirations before enjoying dessert and complimentary drinks. The Picture House launch will also be hosted by top food blogger, Marie Marte, who will share insight and tips on how to take the perfect food photo, touching on the ‘food-ography’ trend currently sweeping social media. There are a limited number of bookings available for The Picture House. To be in with a chance of dining at the world’s first pay-by-picture restaurant, email BirdsEyeInspirations@theenginegroup.com with your name and contact details. Those successful will be notified with details on 9th May 2014."